With a top-notch zoo, science center and historical village, Calgary in Alberta, Canada is flush with family attractions. The big draw, however, is the Calgary Stampede. Billing itself as the Greatest Outdoor Show on Earth, the Stampede is so much more than a rodeo. For 10 days each July, the entire city gets behind this western extravaganza. 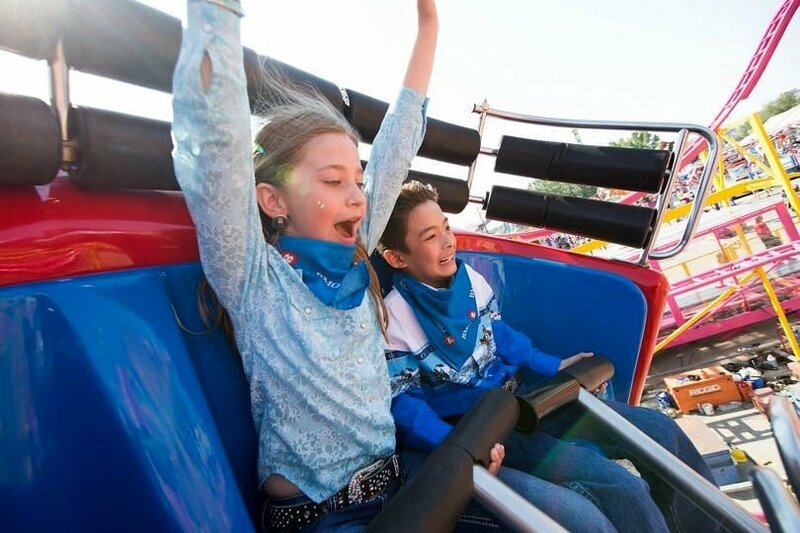 Here’s a look at all the fun to be had at the Calgary Stampede with kids. There’s no better way to celebrate Stampede week than by watching the iconic parade. Complete with marching bands, fantastic floats and western riders, it takes place the first Friday of Stampede. You’ll want to rise with the roosters and line either 6 or 9 Ave. S.W. before the kick off at 8:55am. Pre-parade entertainment keeps the young ‘ens occupied before the festivities begin. 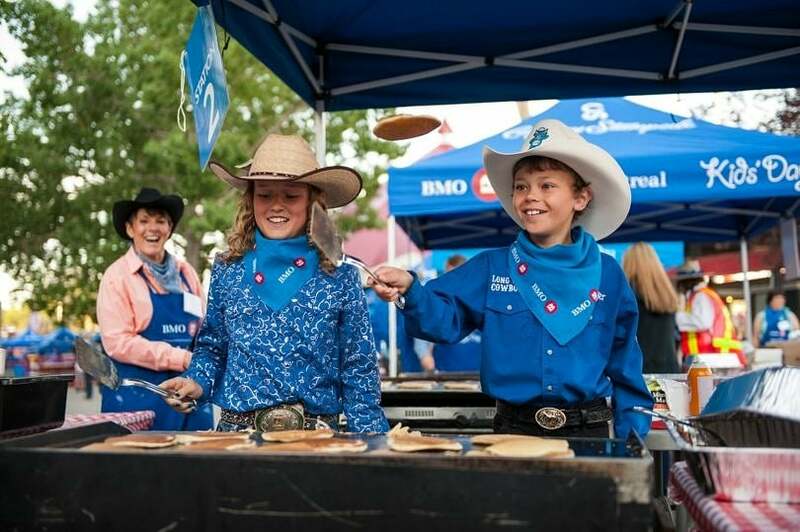 It takes a lot of energy to rope ‘em, ride ‘em and milk ‘em, so fuel up at one of the many free Calgary Stampede breakfasts running across the city. Sausage and pancakes are what’s usually on tap, but indy coffee shops and pubs often offer more variety. Good to know: a Stampede breakfast is not just breakfast! After the carb-fest, take in First Nations dancers, live country music, and pony rides. Then get cuddly with the animals at the mobile petting zoo. Use FlapjackFinder to plot out your meals. 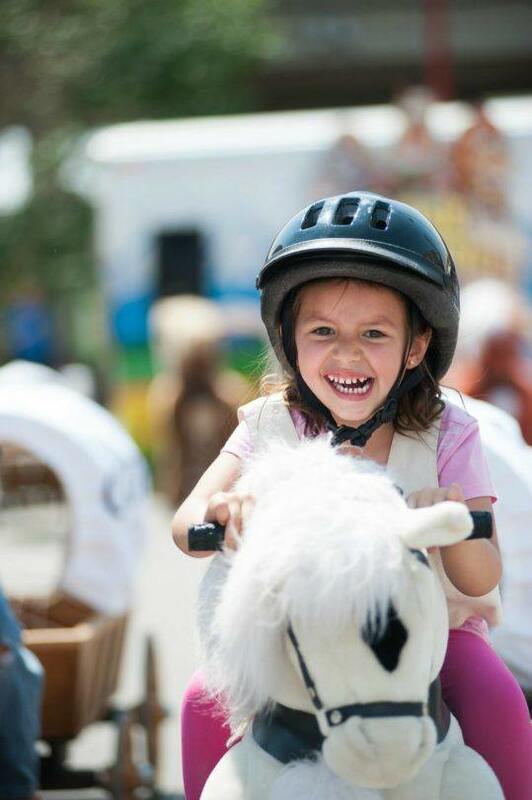 The rodeo and chuckwagon races are certainly worth seeing at Stampede Park, but the big draw at Calgary Stampede with kids is the Great FUNtier. This children’s midway has just the right size rides and carnie games. Animal lovers will want to suss out the Agriculture Discovery Zone, where you can wander through the horse stalls, pet sheep, meet cows and try your hand at farm style activities. Find loads of free entertainment at Stampede Park, too! Trick riders and marching bands delight crowds daily. Superdogs compete in agility tournaments with high-flying stunts that will wow canine enthusiasts. That’s not all. Your kid’s favorite TV characters (like Dora, Thomas or Angelina Ballerina) take to the Coca Cola Stage all throughout the day. Learn more about First Nation’s culture at Indian Village. Here, the Tribes of Treaty 7 set up tipis and live at Stampede Park during the 10-day festival, just as their ancestors did over 100 years ago. Curious guests can wander through the village, check out the tipis, try some bannock (frybread) and watch performances. True, the name Indian Village, doesn’t sound very PC, but realize it was First Nations elders who decided to let the name stand when the Calgary Stampede offered to change it. When to go? Free admission to Stampede Park is offered on the Wednesday and first Sunday of Stampede if you arrive before 9 a.m. Besides free entry, there’s also a complimentary pancake breakfast and special entertainment. One little Stampede secret guarded by locals is hitting up the city’s attractions during the festival. Western Canada’s largest amusement park, Calaway Park has barely any crowds during Stampede. It’s also a great time to hit up Heritage Park, a historical village that offers old fashioned family fun with its antique midway, steam train and paddleboat. The Calgary Tower, Calgary Zoo and TELUS Spark, the city’s science centre are also good attractions to check out during this time. 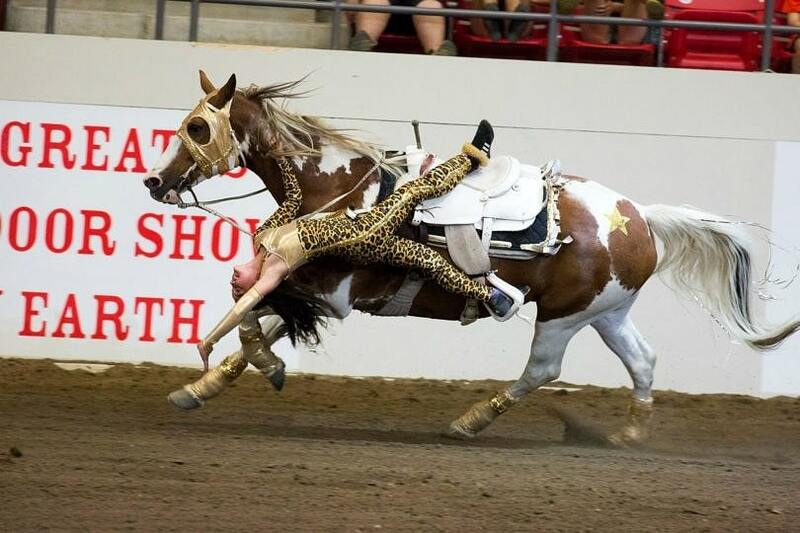 Stampede is one of those iconic events you have to see to believe. Even if you’re not a cowboy or cowgirl, Calgarians routinely don stetsons and cowboy boots during Stampede week. It’s like Mardi Gras with a touch of the Olympics, and I can think of no better time to visit Calgary than during the Stampede. 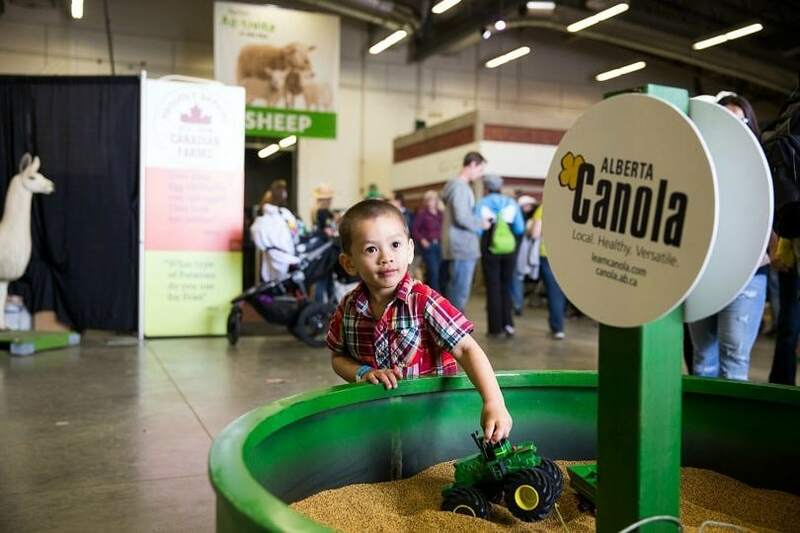 Would you like to attend the Calgary Stampede with kids? Let us know in the comments below! This is indeed a very interesting attraction where the kids can have tons of fun! It’s nice that they can actually participate in some of the activities – this way they won’t get bored too quickly. So true. I’m always amazed how the Stampede manages to hit all age groups and abilities. It looks like your kids had loads of fun on Calgary. I hope I can bring my niece there soon. I bet she will enjoy it too! I bet she would, too! Home » FAMILY TRIPS » Calgary Stampede with Kids ~ So Much More than a Rodeo!